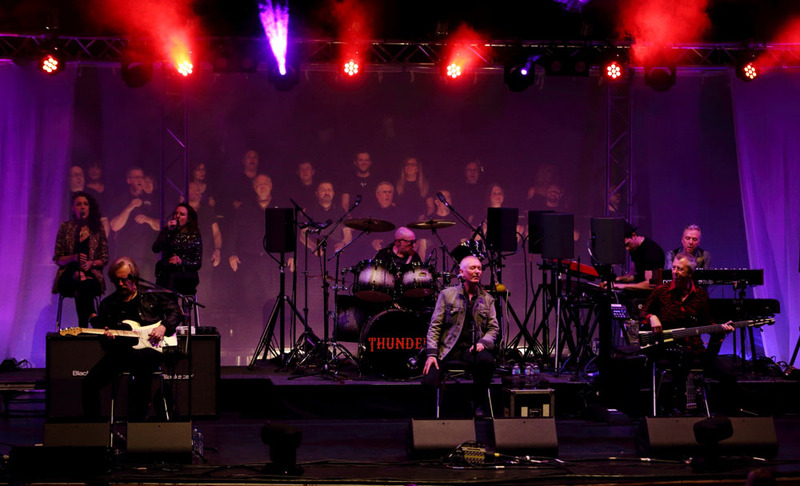 Share the post "Gig review: THUNDER – St.David’s Hall, Cardiff, 1 February 2019"
When the Please Remain Seated album and tour was announced, it brought a mixed response from myself: on the one hand, it was interesting to see Thunder doing something different from their usual electric shows. What I was fearful of: would the energy normally present go missing in this laid back setting, and hadn’t it been done 15 years previously by Bon Jovi, to a muted response? Dan Reed was due to take 2019 off but you can’t refuse a tour support like this when it comes around, and this is right up his alley. Without the Network beside him it was down to Dan alone to deliver, and being one of the hardest working artists over the last few years – playing in small clubs, festivals, and even living rooms – he made it look like a stroll in the park. The set was pulled from mainly his solo work, broken up with interesting anecdotes about his time teaching Tibetan monks, Queen’s ‘We Will Rock You’ nestling comfortably around a couple of Network songs in ‘Rainbow Child’ and ‘Get To You’. 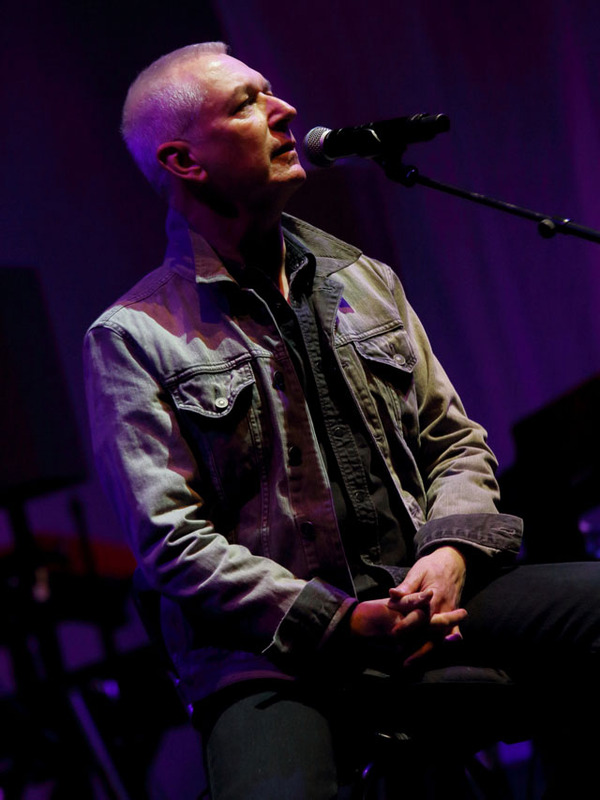 Dan, along with a handful of singers from the 80s genre, has kept his voice in fine fettle – maybe even better than back in the heyday – he still knows how to inject passion and feel into his songs delivering a 40 minute set that truly connected with the audience. The stage decked out in white Muslin sheets which would become more apparent at the end of the show, with a basic drum kit and six stools, it almost didn’t feel like a Thunder show having everyone seated. 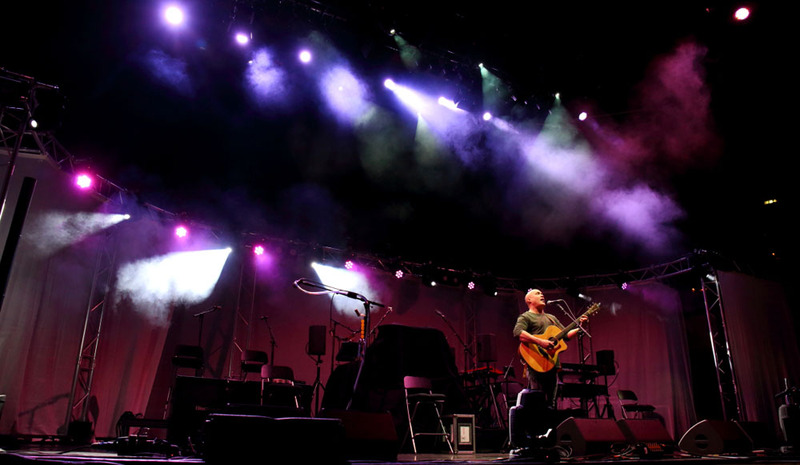 When Danny and Luke ambled on stage they started the evening of with a total curveball by playing ‘Love Walked In’, a song that has been played or heard countless times, yet with just one voice, one guitar and total silence from the crowd. It became almost hymnal, you could have been forgiven for thinking you were at a Sunday service, but it was a stunning start to the evening. 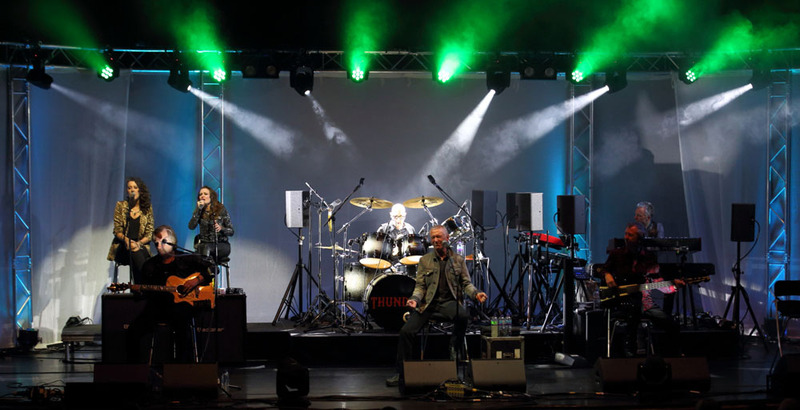 The rest of the band were brought on for the next song ‘Stand Up’, along with two female backing singers, which definitely made for a fuller sound. The evening started to come alive when they played ‘River Of Pain’, which fits perfectly in an acoustic environment. Without having the members of the band moving around the stage, the show seemed to lose a lot of energy, I never thought I would miss Danny Bowes doing his trademark moves on stage but I did. The diehard Thunder fans lapped it up, and he was on top form with his crowd banter. 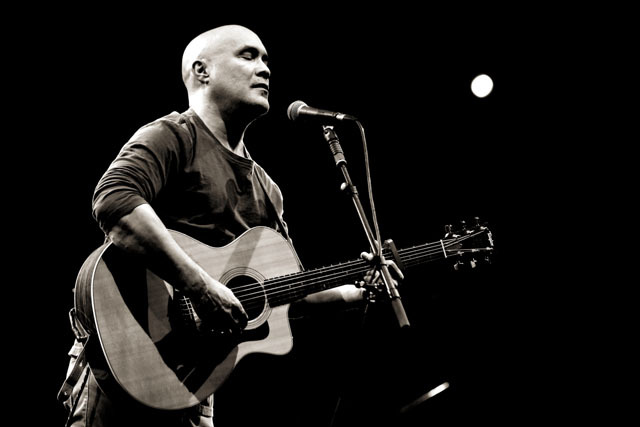 The songs all had different arrangements to the normal renditions, for example ‘Girl Going Out Of Her Head’ was almost unrecognisable with the jazz intro from Chris Childs. ‘A Better Man’ gave the crowd a chance to open their lungs and sing back, even to the point of taking the song over before the last big chorus to the band’s amusement. And Luke Morley showed off his harmonica skill. There were some nice little touches, one being when Luke Morley fired off an electric guitar solo during ‘Loser’. 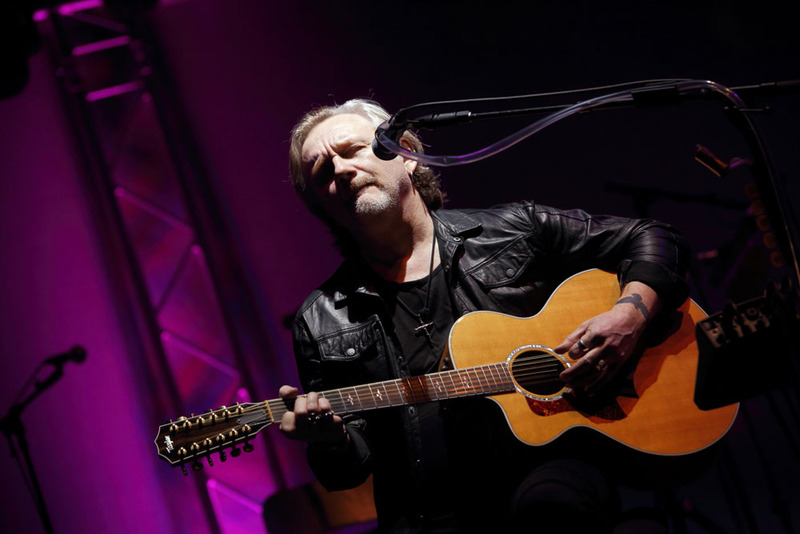 While the set comprised a lot of songs that haven’t been played in a long time – or at all – I kept wanting to hear ‘Backstreet Symphony’ or even ‘Dirty Love’ ( yep, not even in the set). Taking a well-earned encore they returned for ‘She’s So Fine’, and ‘Resurrection Day’, then the use of the white Muslin screens behind the band became apparent, as did the 20 or so members of the choir that has been assembled from fans attending each show, lit up almost as ghostly apparitions to lend the backing vocals for the set closer ‘Low Life In High Places’. 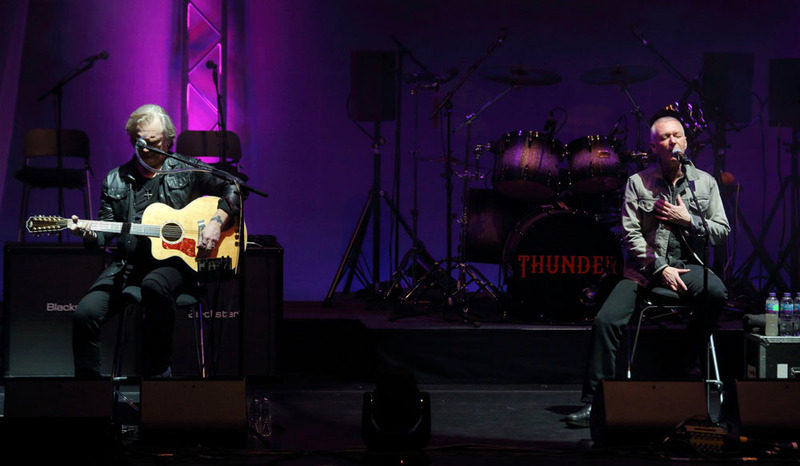 It was a really nice touch which finally brought the crowd to its feet to thunder-ous applause. They could remain seated no longer. Thunder have done something different if not original – some of it works and some of it doesn’t – but what is always guaranteed is just how damn good they are at doing it. 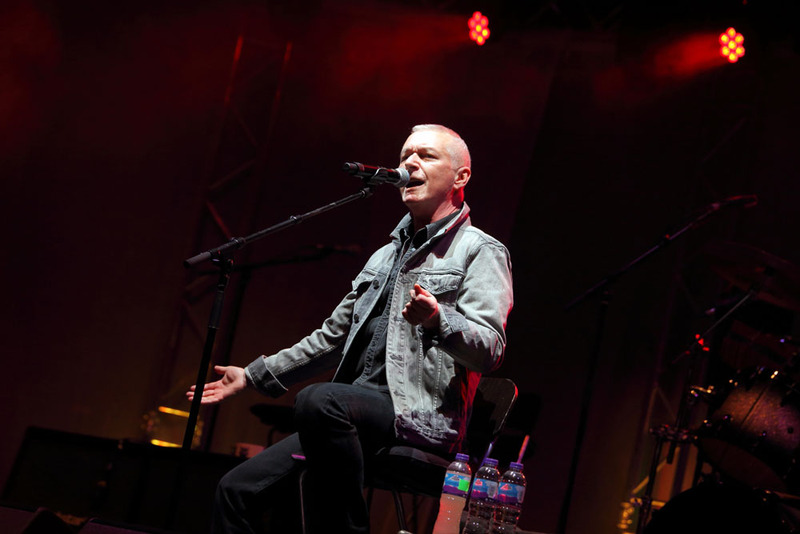 This entry was posted in All Posts, GIG REVIEWS and tagged 1 February 2019, acoustic, Cardiff, Danny Bowes, gig, Luke Morley, Please Remain Seated, review, rock, St.David's Hall, Thunder. Bookmark the permalink.